Japanese Kit Kat is famous for having new and exciting flavors for their traditional chocolate bars. 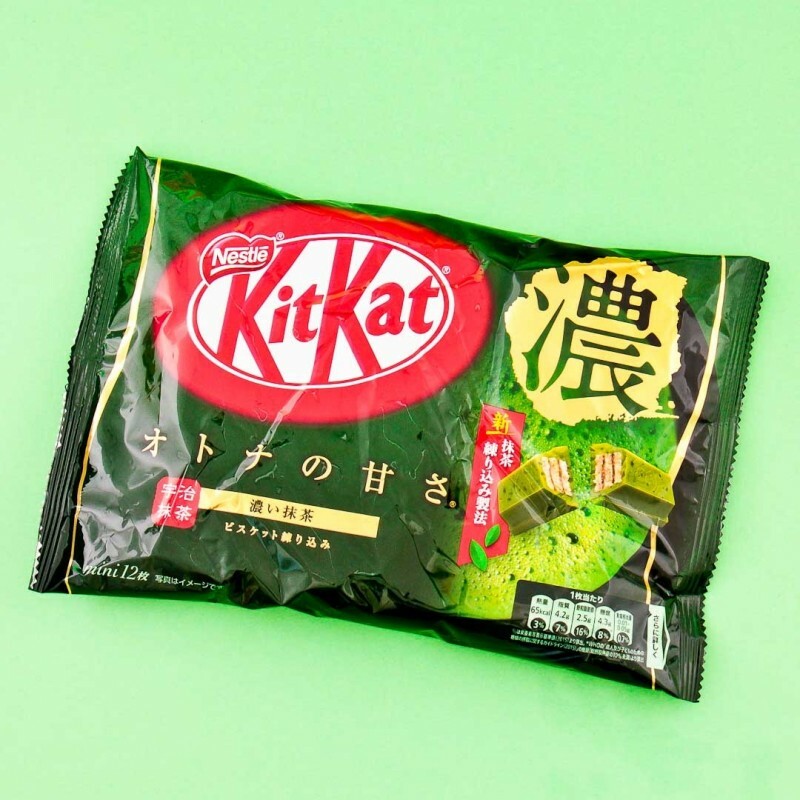 With these mini Kit Kat bars you can enjoy green tea & chocolate flavours together! Matcha Green Tea Chocolate mini bars have a full, bittersweet matcha flavour. The crunchy wafer biscuit is covered with green tea dyed white chocolate, and the matcha powder is from Uji in Kyoto! A sweet first bite is followed by a refreshing after-taste of bitter tea that won't let any matcha friend down. One set includes 12 mini bars in 1 jumbo pack.